Keeping It Real FIT - Best Brownies Ever! Love desserts, but don’t love the calories? I get you. Often times I’d like to have something something after dinner, but I don’t want the sugary treat. So, I’ve been tinkering with a variety of recipes to develop a healthy flourless, gluten-free, dairy-free brownie. This recipe makes an extremely moist and decadent tasting brownie. 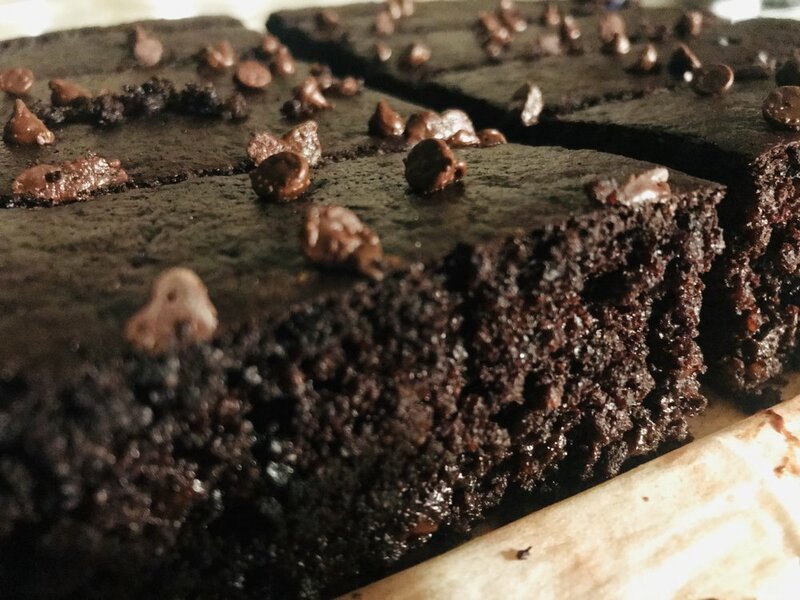 I promise you, when you serve this brownie, people will never guess that it’s healthy and packed with protein and fibre! I’m excited to share it with all of you. Please let me know what you think! Cook the quinoa as per the package direction. Let cool. Mix the ground flax and water together. Set aside for 5 minutes. Once quinoa is cooled, add 2 cups of cooked quinoa to a food processor or high power blender. Add the remaining dry ingredients (except the chocolate chips), flax egg and remaining wet ingredients into the food processor. Blend until fully combined. Mix in the chocolate chips with a spoon. Pour batter into the square pan. Smooth out the top with a spatula. Sprinkle some chocolate chips on top (optional). Bake for 40-45 minutes (until a toothpick comes out clean). Let the brownie completely cool on a rack before removing from the pan and cutting. Enjoy as is or add berries and/or dairy-free yogourt!